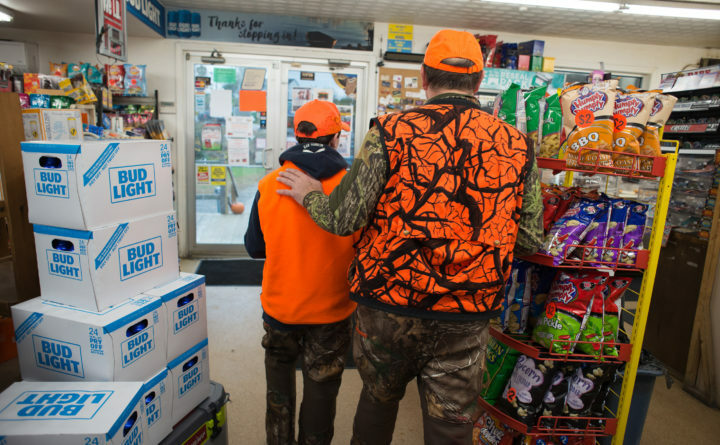 Donald Pelkey puts his arm around his son, Thomas Pelkey, 10, as they exit Bob’s Kozy Korner Store in Orrington on youth hunting day Saturday morning. Thomas shot a 101-pound buck with the Savage .243 rifle that he won in the youth hunting day raffle at Bob’s Kozy Korner two years ago. While many Mainers slept in on Saturday morning, the state’s junior hunters were up early, eager to enjoy their own special day in the woods with a parent or hunting mentor. And according to the state deer biologist, those youngsters fared pretty well. The day, which is set aside for hunters younger than 16 with firearms — adult bowhunters are also in the woods that day — is called Youth Deer Day. Nathan Bieber, the state deer biologist for the Maine Department of Inland Fisheries and Wildlife, said preliminary data indicates that hunters established a five-year high for deer harvest. The state’s new internet-based game registration system wasn’t fully functional Tuesday morning, so some data couldn’t be translated. But a preliminary estimate indicated about 1,025 deer were killed by youth hunters on Saturday. Instead, Bieber looked at the deer harvest total for Friday — 53 — when only archery hunters would have been hunting, and used that as an estimate for the number of deer bowhunters may have taken on Saturday, subtracting that from the grand total to reach a workable preliminary Youth Deer Day harvest. That estimate of 1,025 is substantially higher than the total Youth Deer Day harvest in each of the previous four years — 2017: 876; 2016: 659; 2015: 845; 2014: 810. 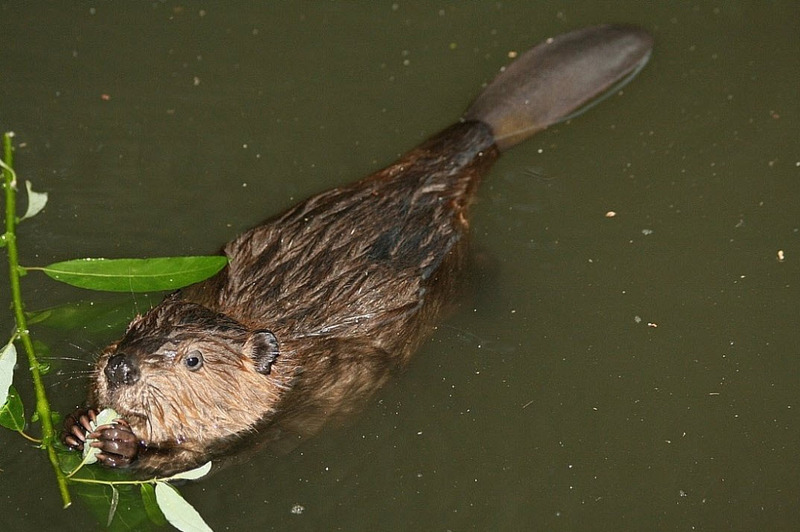 The rest of the state’s firearms hunters will get their crack at deer in the coming days. Maine’s residents-only opening day is Saturday, while nonresident hunters can begin targeting deer with firearms Monday.